One popular New Year’s resolution for a lot of people this year is to finally start the fashion blog they’ve been wanting to create for a while now. This past week alone I’ve been getting tons of messages and emails asking for advice and tips on starting out! So to satisfy the demand, here is my comprehensive guide to starting a fashion blog! It can feel overwhelming when first starting your own blog, because you may not know where to start. Should I get to writing first? Or focusing on getting my social media channels started? Keep reading below to see the first few steps you need to take for a successful fashion blog launch. Fashion? Yeah, that’s not enough. Get more specific. One of the key factors to blogger success is learning to identify what type of fashion blogger you are. Just like music, there are tons of different musical genres. Think in this perspective: why would a heavy metal band try to headline a concert for a country music festival? Take a good look at what’s in your closet, think about outfits you normally wear and try to “brand” your style – do you dress more like the edgy Kylie Jenner or are you more of a sophisticated and chic gal like Kate Moss? This is extremely important to define as this will determine your audience from price point to age and even brands. Now that you’ve established your style and niche, take the time to find anywhere between 5-10 huge influencers and bloggers that you can identify with. No more, no less. Too little inspo, and you won’t be able to draw up any ideas. Too many, and you’ll be overwhelmed. Narrow it down. Not only do your role models serve as visual inspiration, but they also serve as business mentors (in a weird, stalkerish, you-don’t-even-know-them-but-they-helped-you kind of way). Observing them on both their blog and social media will show you certain strategies they employ to build their audience, create sales, and work with brands. You know the saying, “fake it ’till you make it?” Well, follow the footsteps of your idols and see what happens next (as long as what they’re doing is ethical and legal). In an ideal world we’d love to just go off our first and last names, but let’s face it: in the blogger world there are millions of us, and it’s hard for people to remember names just like it is to remember the names of the people you meet casually at a party – you are one in a sea of millions. Coming up with a name for your blog helps further identify your brand and makes you that much more memorable. Later along the line when your business and fan base are established you can probably drop the stage name and go by your real name, but for now pick something that captures the essence of you and your blog. Time for the nitty-gritty! First you must start by getting web hosting. Hosting is pretty much like buying a home. You always want to be self-hosted: think of this like owning the home you live in versus a regular hosted website, which is like renting the home you live in. You want to be self-hosted (home owner) because you retain all the rights to your website and will encounter little to no legal issues when it comes to advertising on your blog, something that has explicit regulations when using a hosted website. A hosted website would be similar to a renter – you live in the home and are responsible for maintaining it, but there are certain things you cannot do like construct new additions, unless you want to get kicked out for tampering with what isn’t yours. Onto picking a self-hosting service. Over the years throughout several businesses I have self-hosted with several services like GoDaddy, Bluehost and more, but I love Siteground the most. Self-hosting with them costs as little as $3.95 per month! And sure, there are even more affordable hosting services out there, but cheaper is not always better. With cheaper hosts like Bluehost I have experienced tons of service outages and DDoS hacks causing my website to go down, and as a result I lost traffic (and money!). Siteground has excellent customer service and chat support- they are fast, reliable, and helpful. They also guarantee 99.9% uptime, which means no service outages! Click here to start hosting with Siteground. The next step: choosing a publishing platform. The best way to create a blog is through WordPress.org (self-hosted), which is far different from WordPress.com (hosted). Although the interface and even logos are similar, the terms of service are very different. Go with WordPress.org! Now that you have your hosting service and publishing platform, it’s time to start creating your blog! 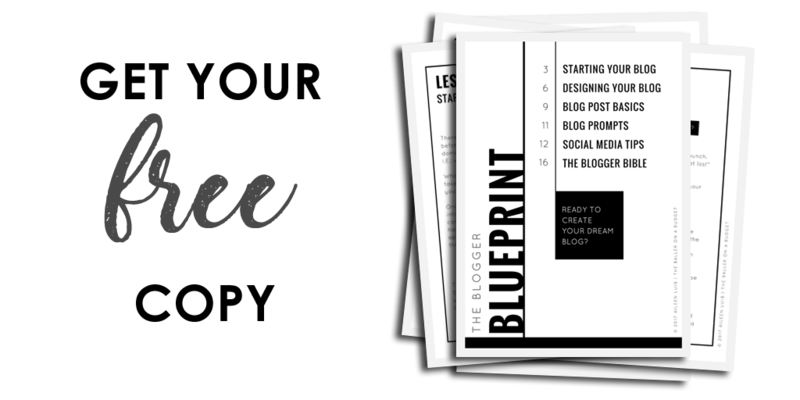 You can download your FREE copy of THE BLOGGER BLUEPRINT below to continue learning how to build your website. My e-book will help you create your own blog, publish amazing blog posts that generate tons of traffic and build your audience across several social media platforms. After you’ve set up your hosting service, connected it to WordPress.org and completed the rest of the setup process as outlined in The Blogger Blueprint, you have to start creating content. It’s really important to create content before announcing the launch of your blog, as it won’t be as interesting if you’ve only got 3 posts on there! I highly recommend having a minimum of 20 blog posts published on your blog so that when readers visit, they will have a lot of content to read that will entice them to want more from you. Think about what you’re going to write about – are you just going to post your daily outfits or will you be providing styling tips too? How about diary-style excerpts that give your readers a glimpse into your life? Think about your strategy here and how it will build your online personality. Also, don’t forget photos of course! If you have no idea how to capture great photos, don’t fret – I’ve included tons of photography tips I’ve learned from my previous business as a fashion and editorial photographer in my course THE BLOGGER BIBLE! This bonus chapter explains in detail how to take amazing photos without the use of a “professional” camera. You can take tons of great images with your smartphone! Of course, you’ll have to do free work before landing paid work, so start talking about the brands you love and the items you already have (side note: I highly recommend against buying new clothes and shoes “for the sake of your blog,” because you will go broke extremely fast. Use what’s in your closet.). Brands’ PR teams routinely do Google searches on common search terms featuring their names, so your blog posts may get noticed. Also, don’t forget to tag on social media! RELATED POST – HOW CAN BLOGGING BE A REAL BUSINESS? When you write your blog posts, don’t forget to link back to the items you’ve posted (if it’s the exact item, even better!) so that readers can buy something if they like it. I’m sure you won’t, but don’t forget that fashion blogging is heavily dependent on social media. The platform you choose depends on your audience, but it’s great to start off with Instagram since thousands of brands use the platform to promote themselves. This also helps give you exposure and will maybe even land you some reposts from brands. As of right now, the younger generation (teens/high schoolers) prefer using Twitter and Snapchat, but people in their 20s and older are still sticking to Instagram. Try to do your research on the strengths and weaknesses of each platform before deciding to manage all of them at once – this can be extremely overwhelming, but pick one and stick to it. If you publish new content regularly, you will build a following over time, whether it’s social media followers or blog subscribers. Make sure to engage with them! Blog comments? Reply to each one. Emails? Write back. Comments and likes? Respond to comments and like photos of people who’ve engaged with your social media accounts. When you engage with people who stumble upon your online presence, you’re reminding them that you are a real person. And even better, if they truly look up to you, your response will brighten up their day. Think of it as growing friendships. Sure, you may not have time to be friends with everyone, but it’s important to foster a community within your followers – after all, you’re trying to build an empire, right? When I first started, I had the intention of turning my blog into a business – after all, I quit my job as a Realtor, so I didn’t have a choice. However, I didn’t invest in it and continued to do things that I learned from free resources from places like Pinterest or Google. While some of those resources did help me take off, there were a lot of strategies I failed to implement in the beginning out of ignorance, and my income was abysmal because of it. We’re talking, like, cents. I needed a lot of help. Eventually, I gave in and started investing in courses and books to educate myself and help restrategize my business plan. And voila: after incorporating the knowledge I learned from my investments, I started seeing a significant income. Yes, you can educate yourself for free, but you also can’t expect to build a million-dollar business by free resources trial-and-error in a year – after all, if it was that easy, then everyone would be a millionaire. Invest in your business, and your business will return it threefold through income. 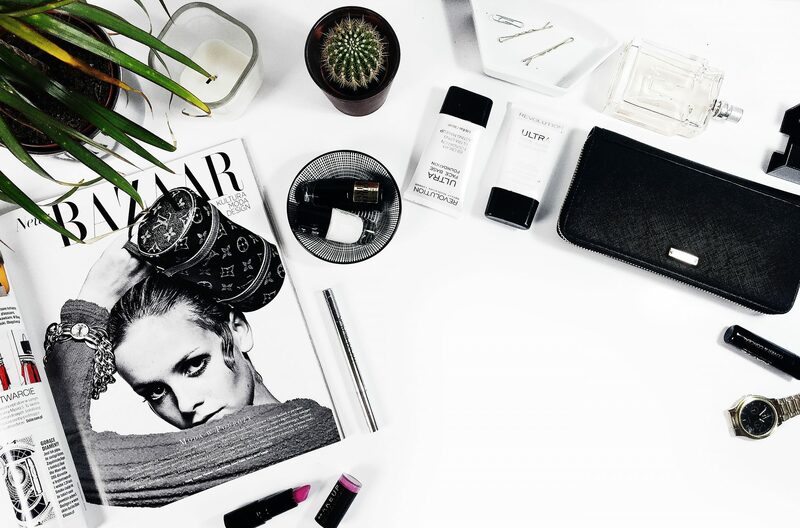 I highly recommend new fashion bloggers to enroll in my course The Blogger Bible, as it is the only course online specifically geared towards fashion, beauty and lifestyle bloggers. Because these niches are so much more different than other blogging niches, the strategy of growth is unique, specific, and not to mention, huge. Using the strategies in The Blogger Bible, I was able to grow my Instagram audience to over 10,000 followers in less than 4 months and expand my Pinterest reach to over 900,000 people in 4 months as well. In fact, as of today, in just over one year of implementation I now reach over 3.4 million Pinterest users with only 2,300 followers! Well, what are you waiting for? If starting your blog is your New Year’s resolution for the new year, then get started! If you have questions, leave a comment and make sure to subscribe to my newsletter below for more blogging tips. Your blog is absolutely gorgeous and your content is great. I came from google looking for a dupe and went through some other blog posts and loved all of them. I bought two items through your links, you’re doing an amazing job! These types of blogs are those for whome everyone waits for.Much informative and usefull .We can get tone of information from these type of posts.I will be waiting for more blogs like these which are very informative and helpfull. Really such great blog, with lots of stuff to create in this blog and enjoyed reading this. Really agree with your points above. A little bit of investment goes a long way in blogging and will give you a leg up on 65% of your competition.